← What Is Your Leadership Wake? 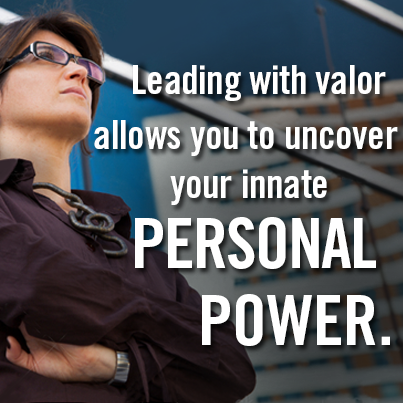 Chances are good that you are already a valiant leader. Engaging with valor calls on strengths you already possess. Being valiant on the job means that you make the choice to by-pass derailers and focus on what’s important. It means you bring your strengths and capacities to the table. This sounds easy and obvious, doesn’t it? In the world of healthcare – and our world in general – it is all too easy to get caught up in the complexity and compelling demands all around us. Just one of those “demands” – whether internally or externally imposed – may be the call for more training and formal learning sessions in service of being better leaders. Don’t get me wrong. I love these sessions – indeed much of my time is spent teaching – and learning – in these environments. But there is a downside to attending too many of these programs. There will always be compelling new content to learn – no matter what our age and experience. But when we think we need to go to program after program, year after year, even though we have acquired sufficient learning and experience to do our leadership work with aplomb – many of us continue to sign up. Does this sound far-fetched? Does it sound like it applies only to those managers, leaders and organizations that are rich with time and money? I assure you, I know many, many leaders who look back and realize that there was a point when they could have decided to attend fewer workshops. There was a point when they could have stepped out and stepped up – and led valiantly more often than they did. Why did they do this? Because they did not stop to assess, take in and own their learning and their achievements. They did not update their real “learning edges” and their new needs for improving their leadership abilities. 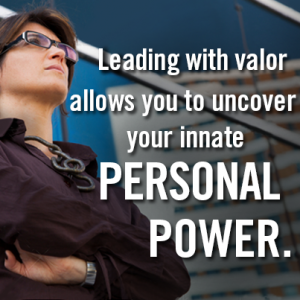 As noted in “Leading Valiantly in Healthcare” the best way to become a better, more valiant leader is to practice it. My strong hunch is that you already have the capacity to lead this way – now is the time to “just do it”! What do you think? Is this the time for you to “lean in” to the leadership capacities you already have? Is this the time for you to step up, step out and lead valiantly? This entry was posted in Blog and tagged Healthcare, Leader, Leaders, Leadership. Bookmark the permalink.